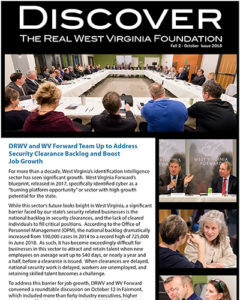 Robert C. Orndorff, Jr., of Charleston, W.Va., is State Policy Director, for Dominion. 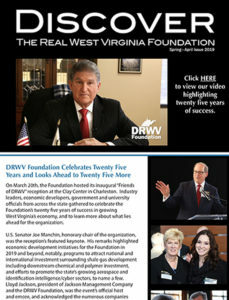 He is a registered lobbyist in West Virginia, and was previously one in Ohio and Pennsylvania. Orndorff joined the former CNG Transmission Corporation in 1995 as coordinator, Drug and Alcohol Testing. He later became government affairs representative and subsequently was promoted to manager, State and Local Government Affairs, and later director, State and Local Government Affairs. Active in various community organizations, Orndorff is a board member for the West Virginia Chamber of Commerce, previous Chair of its Energy Committee, a board member of Philanthropy WV, a board member and past Chairman for the Harrison County Chamber of Commerce, Board Member of Leadership WV, a Board Member of the WV Red Cross, and a board member of the Allohak Council of the Boy Scouts of America since 1996, Board Member of WV Independent Colleges and University Inc., Board Member of the United Hospital Center Foundation and past Chair of the Harrison County Heart Association Heart Walk. 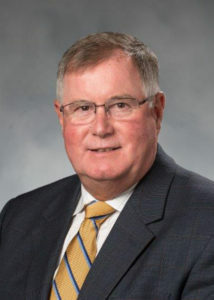 He has served the oil and gas industry in various capacities, including board member and past president of the West Virginia Oil and Natural Gas Association, and past board member of the Ohio Gas Association, and Virginia Oil and Gas Association. He currently serves as an appointee on the Interstate Oil and Gas Compact Commission’s publicity committee, the WV Air Quality Review Board for the WV DEP. He has also served on the Governor’s Marcellus Task Force, the WV Compressed Natural Gas Vehicle Task Force and current member of the WV Governors Oil and Gas Safety Commission. Previously named an Outstanding Young Man of America, Orndorff has been involved in a number of community organizations, including Boy Scouts, church, volunteer fire department, parent-teacher organization and baseball little league.